New forms of civic participation promise a golden era for democracy. As the hierarchies of traditional power crumble, they open up opportunities for unprecedented inclusion. However, geographical areas, population groups and world views are diverging at the same time. Why? Is the new democracy taking us towards a new kind of oligarchy? In November 2016, a short but interesting exchange of messages took place on Twitter. The topic was urban activism and its impact on city planning. However, the actual debate was about power: examining how urban activists can speak on behalf of a large group and who is ultimately represented by urban activism. Towards the end of the exchange, someone asked whether urban activism really has to “meet everyone’s needs”. Does it? And whose needs should it meet? A few decades ago, the answer to this would have been easy. Engaging everyone was part of representative democracy: for decision-makers and officials; in other words, those who had the best overall picture of the common good. In a diversifying society, it is more difficult to determine what is “common”, to say nothing of the “common good”. Trust in voting is decreasing, as is the belief that anyone could actually have a complete picture and thus also take overall responsibility. Democracy is undergoing a cultural change as new ways of exerting influence challenge traditional ones and promise greater inclusion. This change is being driven by the rapid development and spread of technology. People now exert influence in social media discussion groups, where it takes just one click to become a member, as opposed to running a campaign and being elected to city council. But does this fully realise the promise of inclusion? Is a wider range of participation methods enough “to meet the needs of everyone”? The questions in this article are not presented in the context of opportunities afforded by technology or even by different forms of activism. The questions are grounded in physical reality – cities and their suburbs – rather than virtual networks. The aim of this article is to present inclusion as a geographical phenomenon. I will argue that the connection between geographical areas and inclusion is strengthening rather than weakening. This is why, in order to find options for inclusion, we have to first ask why these areas are diverging from each other. Urbanisation is the undisputed megatrend of our time. However, public debate has focused very little on how a population becomes urbanised. In developing countries, urban growth primarily means “slumification”, while suburbs offer the environments for urban life in developed and emerging countries. All cities are different, so it is a good idea to be cautious when making comparisons. There is one similarity though: growth means an increase in complexity. And in practice, complexity means less control. The negative consequences of city growth have been highlighted frequently: a decrease in trust that manifests itself in riots and increased dissatisfaction and fear is one example. And this in turn has created room for opposition to democracy. The strength of this change has surprised many experienced urban researchers. Richard Florida, a professor at the University of Toronto who gained world renown in the early 2000s, based his optimistic urban vision on three Ts “technology, tolerance and talent”. Now his interpretation of the future of cities is decidedly darker: Florida’s new book shows that diversity in large cities not only produces tolerance and success but also “a great deal of segregation and inequality”. Cities in the United States are no exception and strong segregation can also be seen in fast-growing cities in China. As in the US, the segregation visible in several European metropolitan areas has been interpreted as being at least partly responsible for the polarisation of the political atmosphere. Following the Brexit referendum in June, many researchers and journalists drew maps of the United Kingdom that revealed the country’s deep divisions: large cities voted to stay in the European Union while smaller towns and rural areas voted to leave. Closer examination also reveals deep divides within cities. A good example is London: 59.9 per cent of its residents voted to stay in the EU, but it also contains the 10 most EU-positive and the 10 most EU-negative voting districts in the country. In the eastern borough of Havering, where unemployment and youth education has fallen below the London average in recent years, 70 per cent voted to leave the EU. Polarisation has sparked a discussion about the “echo chamber effect”: parallel realities that no longer meet or communicate. Social media is seen as a contributing factor to polarisation, because it allows people more choice concerning what they follow and who they interact with. However, the echo chamber is not confined to virtual reality and examples like Brexit show that the phenomenon also occurs in our physical reality. Differences in world views are also visible as geographical lines. If address is a growing indicator of attitudes, is it also an indicator of inclusion? Are we moving towards a world in which location is creating a new class division? Many studies indicate that Finland is one of the least segregated countries in the world. In comparison to many other countries, our towns and cities can still offer equal starting points in life, such as a good education and healthcare for everyone. We also have the value-based will to promote equality and a shallower hierarchy. A comparison performed by Dutch cultural researcher Geert Hofstede showed that Finnish culture, like that of other Nordic countries, ranked at the top of the “low power distance” scale. Thus, it is no surprise that we can contact our local deputy mayor via Twitter – and perhaps also get a personal answer to a question. Can the tradition of equality be a problem for democracy? This question sounds ridiculous: after all, democracy is ultimately a matter of equality. However, having equal opportunities does not mean that equality has been achieved. In short, we can claim that building equality in Finland is easy thanks to our homogeneous culture. A uniform culture has supported the construction of democracy – but what happens when the foundation is a less than uniform culture? Does our country, which is so accustomed to equality, have blind spots that might be easier to detect in more hierarchical cultures? Sweden is our closest cultural peer, and it has been dealing with the difficult equation of equality and a diversifying society for two decades longer than Finland. The segregation of areas and suburbs is not confined to cities but also exists at the level of national politics. News about violence and neighbourhoods that are designated as dangerous by the police have fuelled populism, which is something traditional parties have been unable to ignore. One of the themes of a speech made by Prime Minister Göran Persson in Almedalen in summer 2016 was suburbs and the “decades of segregation” occurring in them. Fortunately, the gaps here are not as deep yet, but we do have our own vulnerabilities. University of Helsinki doctoral student Mats Stjernberg’s research on the link between neighbourhoods and unemployment provides a good view of the distinguishing features of Finnish urbanisation. Based on material Stjernberg collected from the entire country, suburbs were similar to the rest of Finland in terms of population profile until the early 1990s. The increase in unemployment caused by the recession was particularly high in certain neighbourhoods. Although overall employment improved when the economic boom began in the 2000s, it actually got worse in some suburbs. This means that an improvement in the general economic situation is not always enough to stop the rise in the number of unemployed people in certain areas. Problems related to suburbs are considered difficult in Finland because there is no single method for dealing with them. The renovation of an apartment building is a good example. A building that needs repair may not be worth the effort if the value of the area where the apartment is located has fallen. This may be affected by factors that have nothing to do with the condition of properties in the area. The challenges are also “difficult” in another way. In contrast to the situation in Sweden, there is no proof of large-scale problems in our suburbs, which may mean that the accumulation of problems is going unnoticed. Thus, suburbs are challenging us to renew without any alarming sense of urgency or external obligation. This is why they provide an opportunity for us to improve inclusion in our society – if we can just build the conditions needed for it. Does engagement lead to an oligarchy? No organisation working to promote engagement wants to consciously reduce the number of people with influence. On the contrary, as stated on the website of Helsinki Central Library, the aim is “to improve participatory democracy and the opportunities of the city residents to participate and make a difference, and to open up the decision-making processes”. Nearly all of Finland’s large municipalities and cities have published their own engagement programmes. Many of them also have projects focusing on suburbs and areas where segregation is a particular threat. Along with municipal engagement programmes and projects, city residents are finding new participation methods by themselves. Like other elections, the municipal elections held every four years are increasingly seen as being too rigid and infrequent to serve as a form of influence. Today, city residents want to interact more quickly with political decision-makers and public officials. They also want to be a part of implementing new ideas rather than simply casting a vote. Many politicians and officials have stated that urban activism is an essential part of preparing new planning projects. The activity of city residents strengthens democracy by providing more opportunities to exert influence. But is this enough to open up the echo chambers? Statistics show that active participation also seems to have an effect on more traditional methods of democratic influence: people who participate more are also the most enthusiastic voters – and vice versa. However, so far there is no empirical evidence about the effect of urban activism on the segregation of neighbourhoods. This means that we have to rely on observations and experiences and look for silent signals. Maps of city events can provide one small but interesting signal. The highly popular Restaurant Day, where any resident can establish a restaurant for one day, has spread throughout Finland and around the world in just a few years. The most active areas inside cities have been near city centres – despite the fact that the majority of people in cities like Helsinki live in suburbs. The lines between the city centre and suburbs are psychological as well as physical. French King Louis XIV, also known as the Sun King, is said to have stripped power from members of the court who fell out of favour by sending them to “the suburbs”. Even today, suburbs are seen as separate units, while city centres are considered natural clusters of power. The construction of buildings with symbolic value in suburbs, such as a Guggenheim museum, has occasionally been proposed as a way of changing this view. The fact that such ideas are usually just tossed around tells a lot about the reality of the proposals. Bridges to eliminate the psychological boundaries between areas are needed more than buildings with symbolic value. However, real life is needed most of all. This means trials, even small ones, which illustrate the requirements for inclusion and demonstrate how it can be promoted. In August 2015, my colleagues and I were organising the Our House Festival for Suburbia. One of the guests we invited was Lena Friblick from Sweden. Through the Xenophilia organisation, Friblick works in Rosengård, which may be the best-known and, according to some people the toughest, neighbourhood in Mälmö. Her years of work with local immigrant women has produced the “Kryddor från Rosengård” (Spices of Rosengård) concept, which includes cookbooks, exhibition events, television programmes and a line of spices sold in supermarkets. The project has helped launch new restaurants and grocery stores that provide project participants with direct income. The City of Mälmö has also provided residents with plots of land for urban gardening, which has sparked the development of small-scale local tourism services in Rosengård. Kryddor från Rosengård is an example of empowering one suburban community. 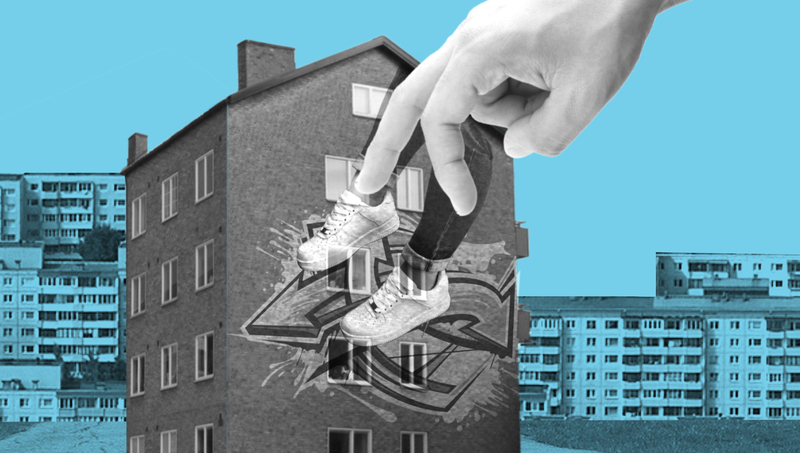 The events, books and media productions have built a brand: Rosengård and its residents are showing a new side of the neighbourhood and its community to the rest of the Swedish population. A decisive factor was Friblick’s understanding that the Kryddor concept needed support from large Swedish companies in order to be successful. The women of the suburb gained access to the national market after a large spice producer began developing products that bore the brand. For many, this was the first time that they had truly felt a part of Swedish society, “a real taxpayer”, as one women put it. What can we learn from Rosengård and projects like it? Many people working in engagement projects have noticed that there are different levels of inclusion. The first can be called involvement. The decisive factor is how easy it is to participate. Events like Restaurant Day are successful because removing regulations that prevent participation has made participation easier. The fact that people are allowed to establish a restaurant for a single day can be enough reason to participate. Being involved does not mean having the ability to influence the rules and conditions. The ultimate goal of inclusion is creating the desire to take responsibility, which comes from empowerment. This means that the other side must also be willing to give up responsibility. Only after power has been given away can shared responsibility be achieved – a positive mutual dependence. The key lesson of the Kryddor project is recognising the importance of facilitators as interpreters of different realities. Friblick and the organisation she represents created a small-scale engagement infrastructure that included the women of the neighbourhood and the city’s companies and media. Each party was able to function via their own interests and according to their own operating culture. People can only be participants in something. When structures change, the context also becomes less clear. Finding a common goal can be difficult or even impossible, which is why we need operating structures that identify different starting points. In American academic discussion, this model of co-operation is called Collective Impact Effort. The model accepts the conflicting interests of different parties and focuses on using them to create a productive impact. This article suggests that inclusion is fragile, even in a democracy like Finland. A sense of community involves bringing incompatible interests together in the face of diversifying world views. This seldom happens on its own or without effort. A new kind of inclusion requires new types of trials, structures and, above all, a new awareness of what really connects us. Florida R., The Rise of the Creative Class – And How It’s Transforming Work, Leisure, Community And Everyday Life (2002), Basic Books. Link to Richard Florida’s interview in the Houston Chronicle newspaper, 24 October 2016: www.houstonchronicle.com/business/texanomics/article/The-Reeducation-of-Richard-Florida-10165064.php. Hofstede G., Hofstede G. J. and Minkov M. (2010), Cultures and Organizations – Software of the Mind (revised and expanded edition), McGraw-Hill. Monkkonen P., Comandon A. and Zhu J., Economic Segregation in Transition China: Evidence from the 20 Largest Cities (2016), Urban Geography (online). Prime Minister Göran Persson’s speech in Almedalen 5 July 2016: www.almedalsveckan.info/44187. The Twitter comment chain was connected with the Kansalaisaktivismi ja kaupunkisuunnittelu – Case Lisää kaupunkia Helsinkiin event held on 1 November 2016 at Laituri in Helsinki. Mats Stjernberg’s presentation on suburbs at the Our House Festival for Suburbia event held on 12 August 2016 in the Mikkola suburb of Vantaa. The Sun King comment was presented in the LSE Urban Age programme’s Shaping Cities seminar held at La Biennale di Venezia 2016.